Because I work from home, I see my mail carrier, Fed Ex dude, and UPS guy in the neighborhood nearly every day. Over the past two weeks, every time the UPS guy would back his big, brown, boxy truck up the tiny street to my house, I'd get excited. And every time, he'd deliver something to my friends across the street, or to the people next door. Not to me. And it was driving me crazy. I kept refreshing the order status/delivery tracking website to find out when my package was due to arrive, and every day for nearly a week it kept telling me my order was "out for delivery." Most people suffer from this type of UPS Tracking Obsession when they've ordered an iPad or a laptop or Kinect... or something equally as awesome and fun. Yeah. I was obsessing over the delivery of sawdust. Applewood sawdust, to be precise. No one's really sure how or why it got lost in the shuffle, but a two-pound bag of finely ground wood chips made its way to my house last week, and I was rarin' to go. I made this over two days, since two of the dish's elements had a 12-hour period in which they needed to steep or dehydrate. I toasted the applewood sawdust for 15 minutes in a 350F-degree oven. I transferred the sawdust to a glass mixing bowl, then brought some whole milk to a boil. I turned off the burner and poured the milk into the bowl with the sawdust and stirred to incorporate it. I covered it with a plate and let it steep in the fridge overnight. Also that night, I whisked muscovado sugar with some egg whites, spread the mixture thinly onto a sheet of acetate, and then put that sheet onto one of the racks in my dehydrator at 150F degrees, so it could dry out overnight. The next day, I got to work on the rest of the dish. Time to make the ice cream. I know I've said it before, but I've been trained well in this department, thanks to David Lebovitz. Thanks to him, I make nearly all my own ice cream (buying Jeni's Ice Cream is the only exception). But I'd never included guar gum or glucose in my ice creams before, so I was curious to see what the texture of the final product would be. And when it had gotten thick enough to coat the back of a wooden spoon, I removed it from the heat. I whisked in the glucose, and then poured the whole mixture into the blender. I added some guar gum and whacked the crap out of it for about two minutes on high speed. Because I don't own a PacoJet, I had to cool and process it the old-fashioned way. Well, the semi-old-fashioned way, I guess. I poured the mixture into a bowl that was nested in a bowl of ice to start the cooling process. Then, when it had gotten to below room temperature, I poured it into my ice cream maker (not very old-fashioned). I scooped it into a large Ziploc bag, cut off one of the corners, and used it like a pastry bag to fill six acetate-lined cylindrical molds with ice cream. The book calls for smaller cylinders to be used, but these are the ones I have, so I just went with it. It ended up making a portion larger than one bite, but that's fiiiiine by me. I put the filled molds into the freezer for about two hours. Then, I strained them, kept the water, and threw away the seeds. I then added the fenugreek water little by little and kept stirring to incorporate it, bringing it to just under 240F degrees (239F to be exact). No worries, though. I decided I'd just rewarm it to be able to drizzle it over the dessert in its final plating. And then? I plated the dessert. I removed the ice cream cylinders (they popped right out), unwrapped the acetate from around them, rolled the ice cream in the muscovado shards, then topped it with some of the fenugreek syrup, as well as some finely ground fenugreek seeds. The ice cream? Smooth. The muscovado shards? Crunchy and sweet. The fenugreek "syrup"? Hardened a bit and stuck in my molars, but I didn't care. Seriously, you guys: make this if you get the chance. Or, adapt the ice cream recipe to your liking. It was so silky smooth and this really can't-put-my-finger-on-it kind of earthy. The ice cream itself wasn't really sweet at all... which made the muscovado flakes even more relevant and necessary because they added a really nice texture and sweet crunch. And, the fenugreek flavor was mmmmmmellow and delicious. I always forget how much I like fenugreek, and then I have something with it and obsess over it for a week or two, and then forget about it all over again. I have some leftover fenugreek powder, which I'm sure I'll be sprinkling on everything over the next few days. So, so easy and so, so good. Resources: Applewood sawdust from 800-DRY-WOOD.com; Natural By Nature whole milk; Organic Valley heavy cream; Domino sugar; Smith Meadows Farm eggs; glucose from L'Epicerie; guar gum from Terra Spice; muscovado sugar from Yes! Organic Market; fenugreek seed from TPSS Co-op. Music to Cook By: A Silent Film; The City That Sleeps. The band, A Silent Film, reminds me of everything I loved about the music of my junior high and high school days -- you know, the era of fun pop and Brit pop. The early-to-mid '80s. On this album, The City That Sleeps, there are some Ultravox influences, a little OMD, a bit of Cocteau Twins, some a-Ha, a dash of The Ocean Blue, and a smidge of something more au courant: Snow Patrol. I imagine it's a pretty safe guess that the applewood milk is in the ice cream...? Just a good straining, and off we go? So how far through the book are we now? Do I need to start preparing myself for this ride to end? Oh yeah, and this looks and sounds delicious. No wonder you wanted to eat it all yourself! Yum. The fabulous DL also inspired me to stop buying ice cream (except for the occasional Talenti tahitian vanilla gelato). So good. How on earth could anyone ever come up with toasted applewood dust as a base for ice cream? I don't think that I lack imagination but cannot wrap my head around some of these amazing things. How did you strain the milk? Mesh, cheesecloth or coffee filter? I think I need to finally give in an buy an ice cream maker! This sounds fabulous, Carol. Even with the chinois and fine-mesh straining, did you feel ANY splintery or gritty bits in the ice cream? That's the only thing that might hold me back from making this. This looks absolutely delicious, and your description of it makes me want to go out and buy some sawdust to make it right now :D The ice cream sounds so good! 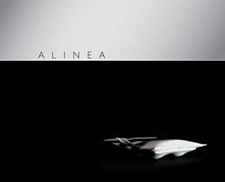 I recently purchased The French Laundry Cookbook and am working through a bunch of the recipes on my own, so I hope that I can soon afford to buy Alinea's cookbook too. Looks delicious! Sounds delicious but why no feuilletine? I just found you. I sure am glad I did. I dig your blog both conceptually and in execution. It's also great fun that you share your soundtrack.